Blecha, Aaron. Very Good. Squid-Napped! (Shark School) by Ocean, Davy. Trade paperback (US). Glued binding. 144 p. Contains: Illustrations. Shark School, 3. Intended for a juvenile audience. Blecha, Aaron. New. Sewn binding. Cloth over boards. With dust jacket. 132 p. Contains: Illustrations, black & white. Shark School, 3. Intended for a juvenile audience. Very Good. 1481406841 Minor shelf wear. 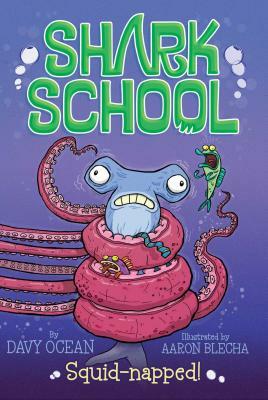 Shark School 3-Books-In-1! : Deep-Sea Disaster; Lights! Camera! Hammerhead! ; Squid-Napped!